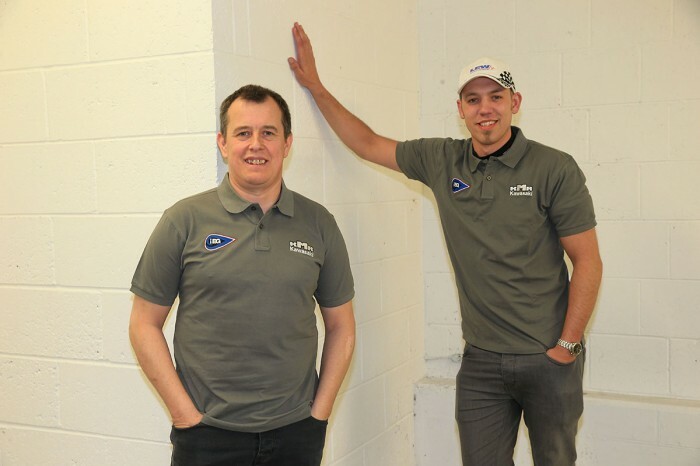 The duo will ride identically prepared ER650cc Kawasaki’s for three-time TT winner Ryan Farquhar’s team where they will be supported by multiple Irish Champion Derek McGee and former Moto3 Grand Prix front runner Danny Webb. 23-time TT winner McGuinness, who won the Lightweight 250cc race with lap and race records in 1999, will be making his debut in the class, for Supertwin-specification machines, after previous contractual obligations prevented him from contesting the four-lap race. Riding this year for Norton Motorcycles in the Superbike and Senior Races, he has been given all-clear to compete in the Lightweight TT where he will be among the race favourites. Teammate Hickman, who rode for Farquhar’s team in last year’s race, will also start as one of the leading contenders for the race win. “I’ve never had the chance to ride the Lightweight class on a Supertwin bike before, but when the opportunity came around, I knew that my first choice would be to ride one of Ryan Farquhar’s bikes. I raced against Ryan for many years and I know how driven he is to win and his machine preparation is second to none. So when he gave me the chance to join his team for the TT I didn’t need to think twice before saying yes and I am really looking forward to making my debut,” said McGuinness.